My friend and I decided to meet at Papa Diddi's before going to a meeting somewhere Maginhawa. 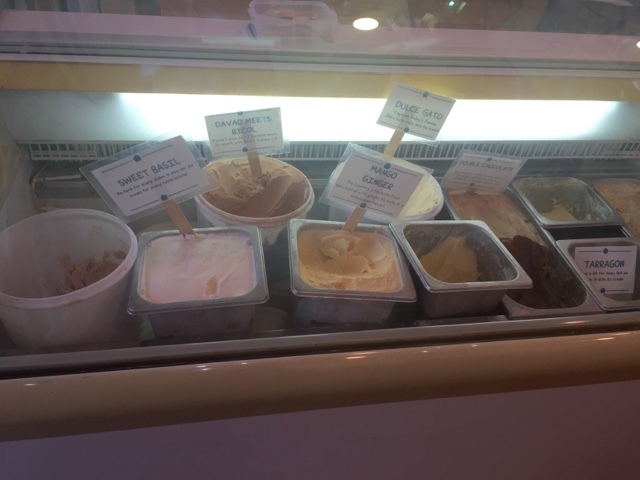 The place is a little small but filled with Ice Cream flavors that you have never tasted before. Speaking of tasting, they let you taste all the flavors so you'd know what to buy. I did not taste every of it, because I really wanted to sit down already. But to give you the view of the said flavors.. 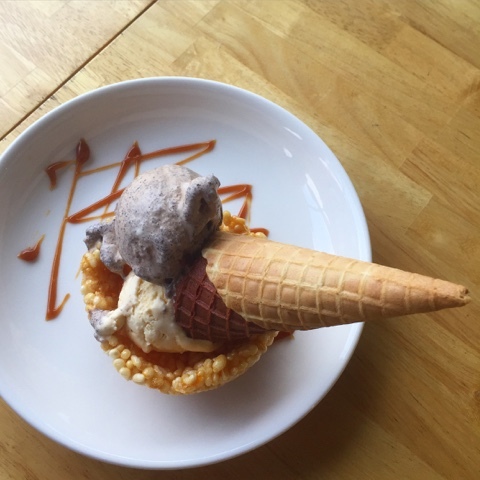 It is a handcrafted Ice Cream with produce from Farms all over the Philippines! Thumbs up to that! For additional sweetness, you can tell them to put it on top of the nest (the nest has a sweet taste). I had the Chocolate De Cagayan and Sweet Potato flavors on top of a nest. Chocolate De Cagayan had the right kind of dark chocolate bitterness and the Sweet Potato - it had bits of something like cassava. 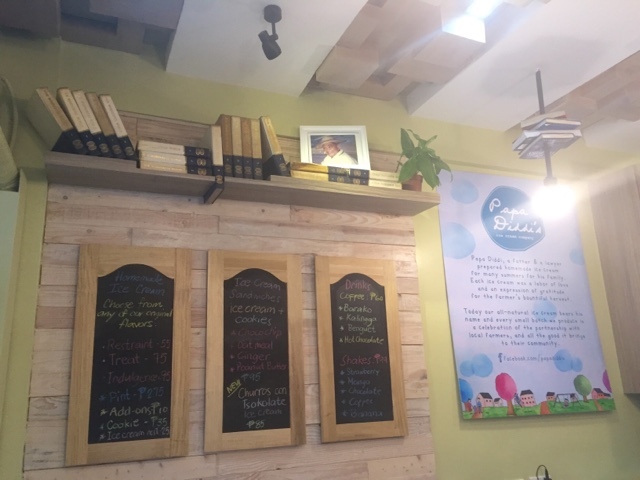 They also have Barako, Kalinga and Benguet Coffee and Shakes.